Mayank Markande is an young aspiring cricketer from Punjab who has played in different forms of cricket like India Under19, Punjab Under19 and Mumbai Indians. He has represented team Punjab in Ranji Trophy and Twenty20. He made his Twenty20 debut in January 2018 and was apparently snapped by the IPL franchise Mumbai Indians in the 2018 auction. Mayank Markande was born on 11 November 1997, in Bathinda, Punjab, India. He’s currently 20 years old. His educational background is no available at this time. 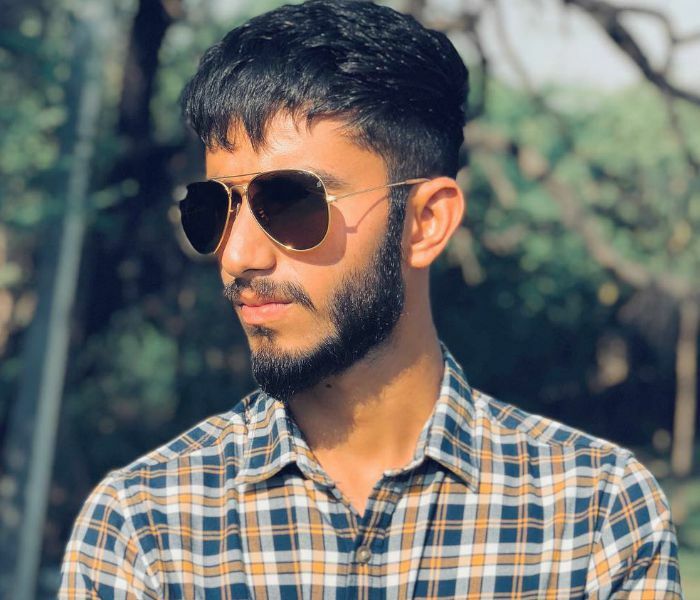 Mayank Markande has kept his personal life discreet from his professional life and thus there is not much information available of any relation he has had in the past or in the present. Markande made his List A debut for Punjab against Haryana in the 2017–18 Vijay Hazare Trophy on February 7, 2018. He took 2 wickets at the cost of 37 runs with his team losing in the match. He made his Twenty20 debut for Punjab against Jammu & Kashmir in the 2017–18 Syed Mushtaq Ali Trophy on 14 January 2018. Mayank Markande played his first IPL match for Mumbai Indians against Chennai Super kings on April 7, 2018. He has brilliantly knocked off two wickets but unfortunately his team lost the match . His net worth is currently unavailable. He has been playing cricket since he was very young and has represented India under India U19 category. He started his career as a fast bowler and after realizing that he was good at bowling the back of the hand slower balls, he convinced his coach that he would bowl leg-spin. Markande idolizes spin legend, Shane Warne. He has so far played in six List A matches and four Twenty20 matches in domestic circuit.. He was bought by Mumbai Indians for 20 lakh in the 2018 auction. He was one of the 100-odd bowlers called for Mumbai Indians pre-auction trial in January this year. He wasn’t sure that he would be signed by them and was extremely happy about it. He was in the middle of an Under-23 game for Punjab when Mumbai Indians picked him for their side. Since players are not allowed to use phones at the ground, he had already received over 37 missed calls and 300 messages by the time he switched on his phone that evening. In his first match against CSK in this season, he knocked out two important wickets – Rayudu and Dhoni, surprising batsmen with googly.